SUZANNE DEMISCH TAKES A TRIP DOWN MEMORY LANE, RECALLING PAST MOMENTS THAT CONTINUE TO RESONATE. Since the 90s, my partner, Stephane Danant, and I have been into French 70s design. 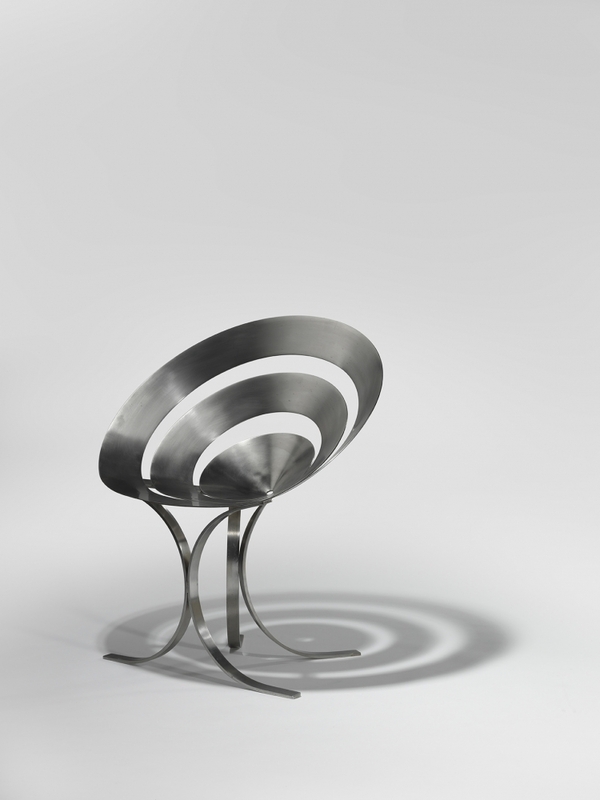 Around 2001, we were in Paris doing the rounds of dealer shops, when we found a Ring Chair (1968) by Maria Pergay. I was traveling to Europe every two months at the time – we would take a truck and visit several dealers in Paris, the South of France, Italy, and Switzerland. In Paris, there was a specific routine we would follow: The Puces, then the shops, then the dealers that we knew. This particular dealer didn’t specialize in French furniture, she specialized in American furniture, so finding the Pergay piece there was a surprise. When we saw the chair, the thrill was immediate – there is an excitement to finding something unexpected, in an unexpected place, and at an unexpected price. The price was €1,500, and highly undervalued, even for that time. Now these chairs cost more like (US) $70,000. It was not just the price that attracted us to the chair. We wanted to have it because these finds are rare; you never know what you’re going to find and when. It just so happens that this chair is her most iconic piece – more and more people recognize it, but at the time it was still the beginning of the Pergay market and the rediscovery of her work. There were no books about her (we wrote books after), it was unknown land in a way, and only a few dealers were looking for her work. Also, the buying landscape was different back then; the world didn’t have as much information available for people as it does now. The internet has grown so much that, now, you don’t have to go to Italy to see what the dealers have, you can do it from your computer screen. At that time, you had to go there, and you wanted to because it was an exciting time. The search was thrilling; sometimes you would find something and sometimes you wouldn’t. Now it’s different. I still encourage people to go and see things in person, because there’s always something unexpected that you can’t find online. Part of our mission at the gallery is to share the discovery process and encourage people to engage in it. The Ring Chair is a symbol for us because it was the beginning of the Pergay market, and no one really knew what it was. I don’t know if this dealer even knew it was Pergay, or the importance of it, but no one really valued her work back then. We still have this chair. We didn’t sell it because it reminds us of this special day and the discoveries we live for.